Pair of mid 19th Century cottages. Red and blue brick. Two storeys, 2 bays with a raised brick band between storeys. Casement windows with depressed pointed arches. Modern hipped tile roof, axial stack. Lean-to weather-boarded extensions on each side. Grade 2 listed building. 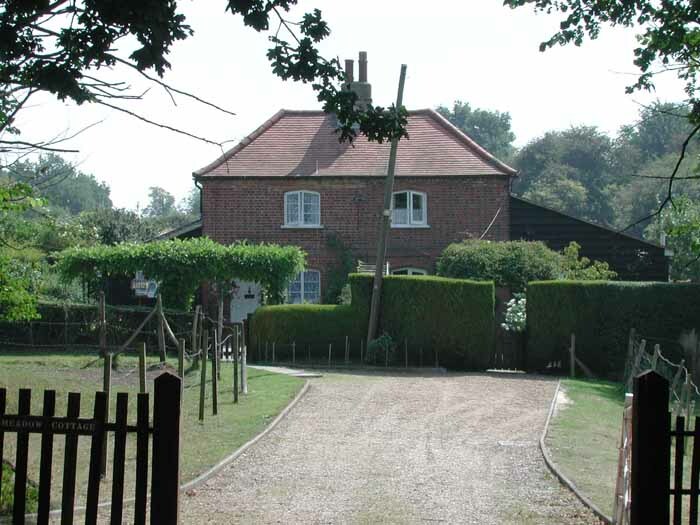 The left hand cottage was occupied by two "elderly" sisters in the 1990's and indeed long before that. 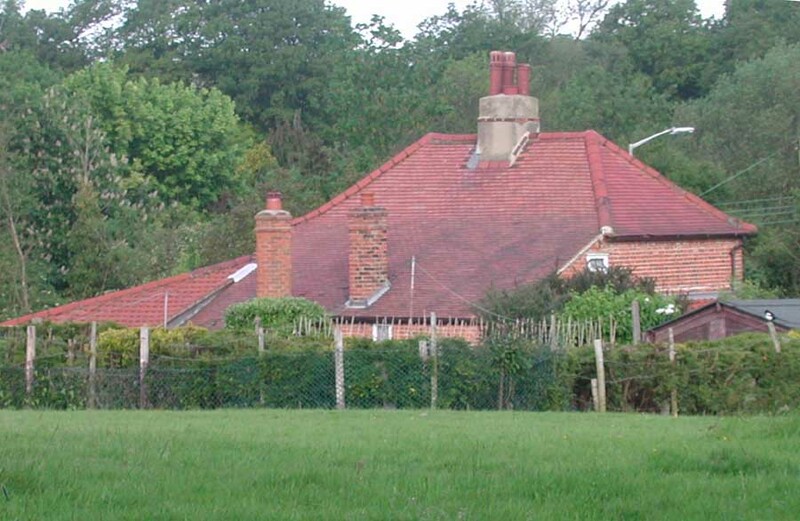 In the 1990's the sisters with their agreement were moved to temporary accommodation while the cottage underwent a long overdue renovation by the owners, The London Borough of Havering. They moved back happily after many weeks, probably their longest stay away since they first moved in. 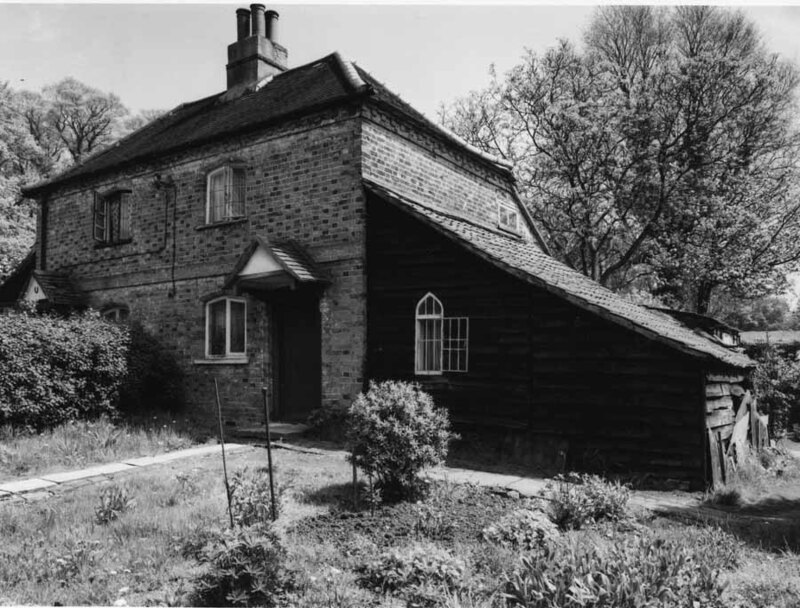 In about 1991 Meadow Cottages was included in an annual heritage trip put on for Havering Councillors because it was listed and had recently been renovated. A whole coachload of people traipsed around the property with the sisters looking on somewhat bemused. 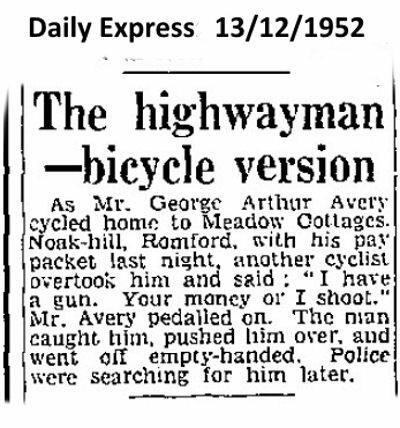 I did speak to them but they didn't have much to say, that I can remember. The one thing that sticks in my mind from the visit was a tiny bedroom at the very top of the house, in the loft really. It was at the top of a winding staircase and once in the room one couldn't stand up straight. It was even difficult to turn around and anyone that ventured up there had to ascend and descend the staircase completely before the next guest could climb the stairs and enter the room. "As far as I know Joyce and her sister (sorry do not know her name) are still alive and still living there, as they were still living there in the August of 2008 when I took photographs of the cottage. Joyce told me that before the renovations took place they had no mains water nor inside toilet. The outside loo is still there (I managed to photograph the outside of it)"
Photo (rear) Don Tait, more recent.